First, download and install Windows Live Mail. Then launch it and look for the 'Add an e-mail account' button. After you have filled all your personal information, click on Next. In the next window check the box that says 'Set this account as the default mail account'. Congratulations! This is all there is to it.Now Windows Live Mail will automatically download all your e-mail messages. I use windows live mail for all users on PC but cannot access hotmail through windows live mail with windows live family safety applied. Even with allow hotmail accounts tick box applied on her user settings. Any ideas on how to overcome this. How To configur Mail service! This is a great software! Thanks for showing it to us. I tried it out and it perfectly integrated with my hotmail account. Another wonderful aspect is that it automatically imported my Gmail account on my Windows Mail. Now whenever i open Windows Live Mail, I can send/receive mail from both my accounts without manually switching between them in my web browser! Convenient! 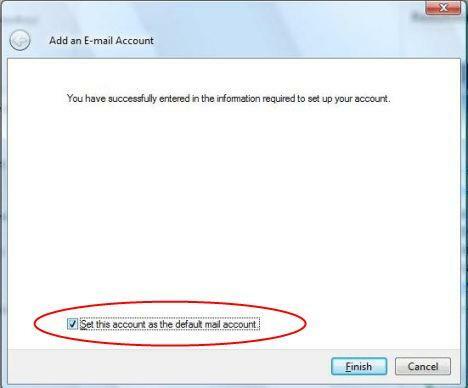 Have you read the tutorial from our website: Configure Windows Mail to connect to GMail? Web Page Not Found for Live Mail AND Hotmail! Ever since I tried to configure Windows Live Mail I can not get to my mail accounts at all. I receive a Bad Request message that says Web Page Not Found whether I type hotmail.com, or LiveMail. I receive this error even when I click on the downlad Windows Live Mail configuration link from this very help screen. Ugh...so frustrating...what did I do and how can I fix it? I get the same problem, plus my computer crashed when I load up live mail. I just got Windows Live Mail with an upgrade to MSN messenger... It looks good. Is this not an option I can switch off? Also, does anyone know where Microsoft stores all those e-mails on my PC, so I can delete them? Hoping someone has some advice! i have a bt internet account. i can recieve mail but not send any. I get an error window saying the incoming server failed eventhough it is the same as the outgoing one. a few weeks ago i could send mail now i can't. 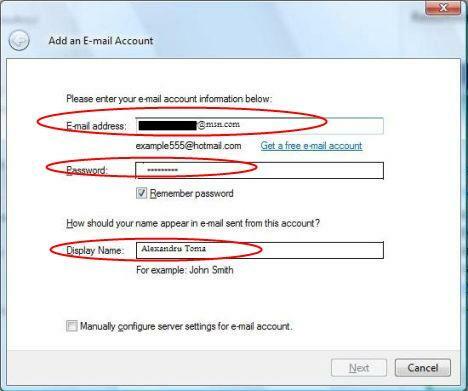 I had just started using Windows Live mail ....I am having problem with my email account as it keeps telling me that I have an incorrect password ......when i do the same setup in Microsoft Outlook, the said email works perfectly !!!!!! Am i doing something incorrect or is there a setting that I had a problem with ?? I do not see the same screen as shown in the 2nd image above. I get a screen asking for POP3 and smtp details. I have followed the instructions above exactly. when ever i try window live mail it shows an error message about wrong password while its not so.incoming mail server is pop3.live.com.HELP! Thank you so much...this was such a helpful set up!! I have been fighting with this for 3 days now and this website made it sooooo simple!! What a lifesaver...way too much stress over the past couple days!! I used to be able to attach "photos" and click on the pictures I wanted to send; however now I need to attach them as files and can only attach one at a time. Can you please explain what happened? I have MSN Premium and now with Windows Vista, I have downloaded Windows Live Mail to connect. It works well, but from time to time, the Windows Live Mail will not open. I have to restart my computer to get it to open. Can anyone tell me why? Hi. Was wondering if there is any way to make Windows Live Mail the default mail program on my Vista PC? Since I only use Hotmail, the Windows Mail on my system doesn't support it. By switching to Live Mail, when I click on an address link, will Live Mail open, or will Windows Mail still be the default mail server? I hate the fact that I have to copy the e-mail addy, open my Hotmail, then paste the addy in order to send e-mail. Is there anyway to have Live Mail open when I click mail links on webpages? I have imported my mail from Windows Mail to Windows Live Mail. After several trials I can find my recent mails but not my older mails (thousands of them.) I can see counting down during importing but cannot find my mails. Where are they? Can anybody please help what the problem is? This is the msg that I get when I try to syn msgs to windows live mail from hotmail. Plz help! Unable to send or receive messages for the Hotmail account. Sorry, we were unable to sign you in to Windows Live ID at this time. Please try again later. I have a Windows Live Mail account, using the domain "alumni.ecu.edu", because my school likes to give Hotmail accounts to their alumni - because it's free. Unfortunately, Windows Live Mail software doesn't seem to recognize this e-mail as a Hotmail/Windows Live Mail account. So, what you showed us doesn't work for me. What I need are some instructions that would show someone like me how to use my Windows Live Mail account with my Windows Live Mail software, without getting a new account which has the "msn.com" domain name. I'm receiving my emails on Windows Live Email but my problem is, when I click on the button "inbox" on the contacts window of Messenger, it guides me to Hotmail homepage and doesn't open Windows Live Email as it should. Dear all, I have many Sent items on the hotmail website the web based email which are not downloaded to my live mail , all inbox items are downloaded the moment i open live mail on my computer , but all sent items i sent on the hotmails kept there..
i keep getting an error, but according to the techs at MS, i have to change the MTU on my DSL modem!!! What is this all about???? send messages using hotmail ...executing? i have left this running all night and still nothing happening seems to have either frozen or not responding. my task master shows its running. I have to open my hotmail emails through google. Can you help me please. ?